The insole is made of three layers of different materials. 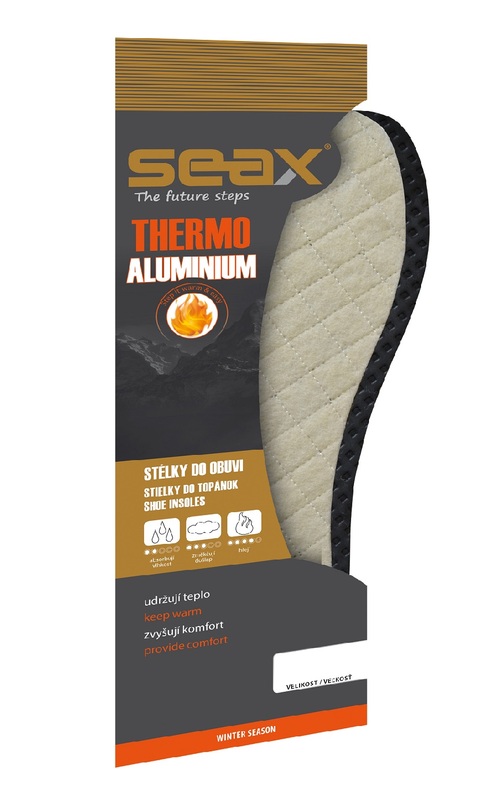 100% quilted sheep wool, aluminum foil and the bottom layer of latex foam with charcoal enjoy your every step. Wool pleasantly warm and good aluminum foil blocks the heat inside the shoe. The bottom layer with offsets prevents slipping inside the shoe insole and absorbs shocks when walking. The innovative combination of these materials protects the foot against cold, and also helps prevent pain in the feet and spine.